In the fall of 2011 I walked away from my role as the director of a big-budget video game production at a studio in Vancouver. I was looking for something fresh and something new to inspire me and to shake things up. My wife Hillary and I had been raising our children in the various large cities we lived in to pursue my work – Vancouver, Montreal, Victoria – and we’d fallen out of love with urban life. Coming to Cumberland changed everything for us. We were staying at a Saratoga Beach cottage and we decided to take a day trip. It was one of those hot August days, where the sun is so bright; it shines at just the right angle to create the most brilliant blues and greens you can possibly imagine. Walking down Dunsmuir was like stepping back in time. The mountains in the background seemed to embrace the village. We could feel the history, the magic, and the potential. This is something that only people who live in Cumberland really understand. We fell in love. We decided then and there, that we were leaving Vancouver and moving to this beautiful mountain town. 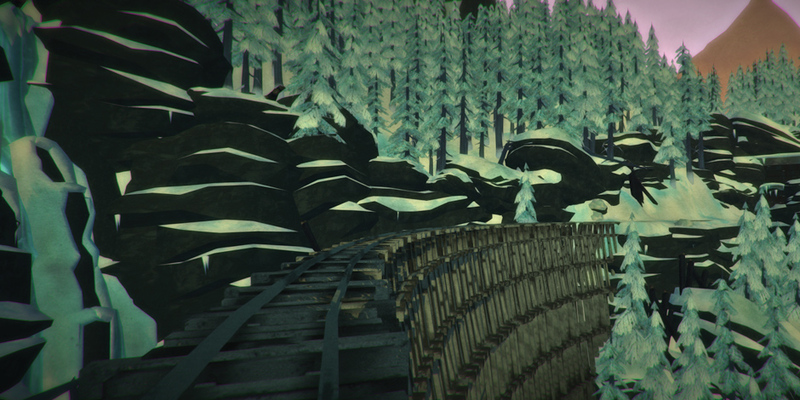 Walking through foggy Cumberland, hiking the trails through fall and winter, traipsing around the logging roads and investigating abandoned ruins of mining structures, coming across the occasionally rusted hulk of a logging truck… these experiences all helped to shape the game that would become The Long Dark. Walking down a tight forest trail and listening to the wind sighing in the trees above inspired me to incorporate wind as a big part of the game’s soundscape. My growing awareness of how quiet the wilderness is contributed to my ability to direct my team to create a quiet and melancholy but beautifully immersive experience. Living on the “fringes” of civilization opened my mind to all sorts of questions that have inspired plot lines and characters that are brought to life in the game. The emptiness and quiet of the lone walker is something we’ve captured in the game, and now share with tens of thousands of players around the world. As a creator, I’ve become keenly aware of how powerfully my environment can influence my work. As a Canadian I’ve always been disappointed in how the need to produce a product with global reach meant sanding off all the idiosyncrasies that made it feel unique but identified it as being part of a creator’s cultural heritage. I resolved that The Long Dark would carry a strong sense of “Canadian-ness” but more than that it would feel like a game that came from the Comox Valley.